Beach Please is a handwritten typeface published by Resistenza which is available in 7 styles and useful OpenType features. 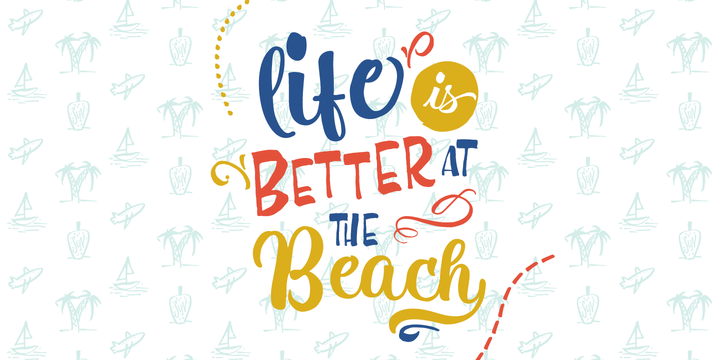 Beach Please Script is a brush font and it was inspired by sign painting. Offer’s you a fun and fresh look. Beach Please Caps & Wide have a bizarre look but it has a realistic handwritten touch. Alo it comes with a set of tropical and fruity icons. Enjoy! Price: starting from $39,00 for one font to $99,00 for all 7 fonts. A font description published on Tuesday, June 27th, 2017 in Fonts, Resistenza by Alexandra that has 3,153 views.